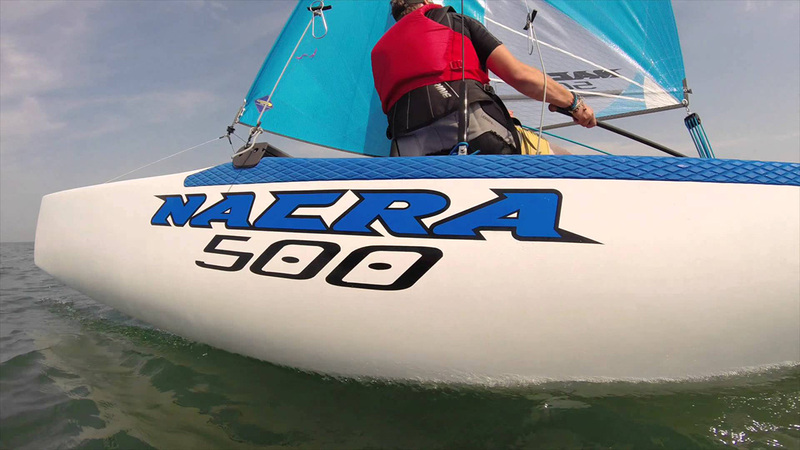 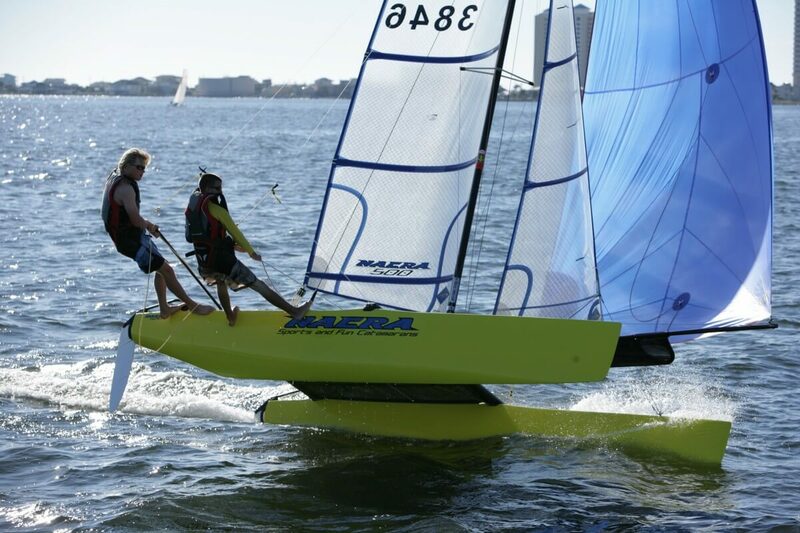 The Nacra 500 is the ideal family craft for those who want simplicity and performance, the large buoyant hulls enables you to drive her across the waves in ease in most conditions. 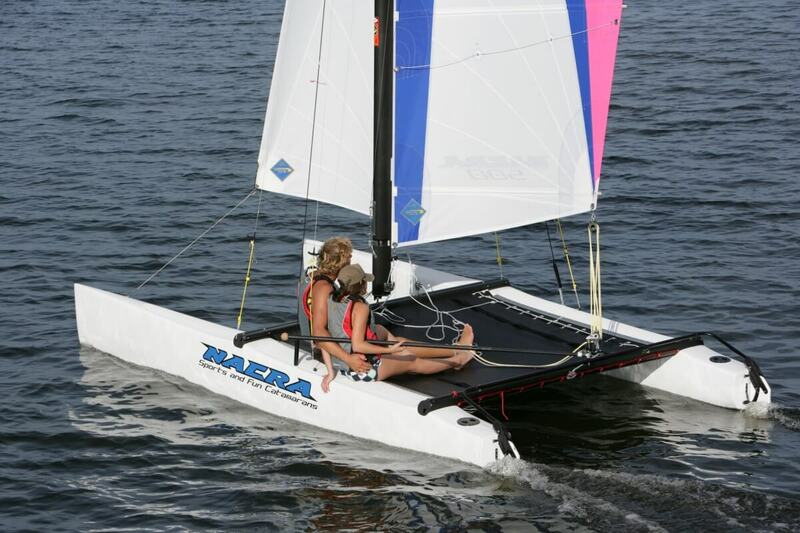 Large trampoline area means that you have real space and as it is tensioned it provides a real platform. 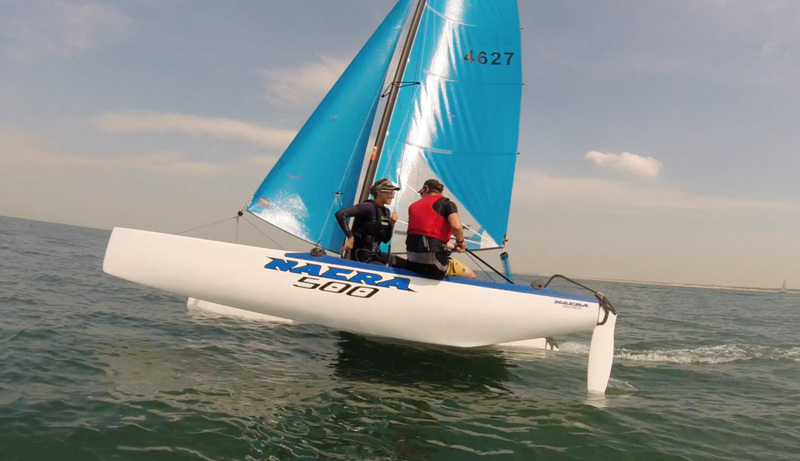 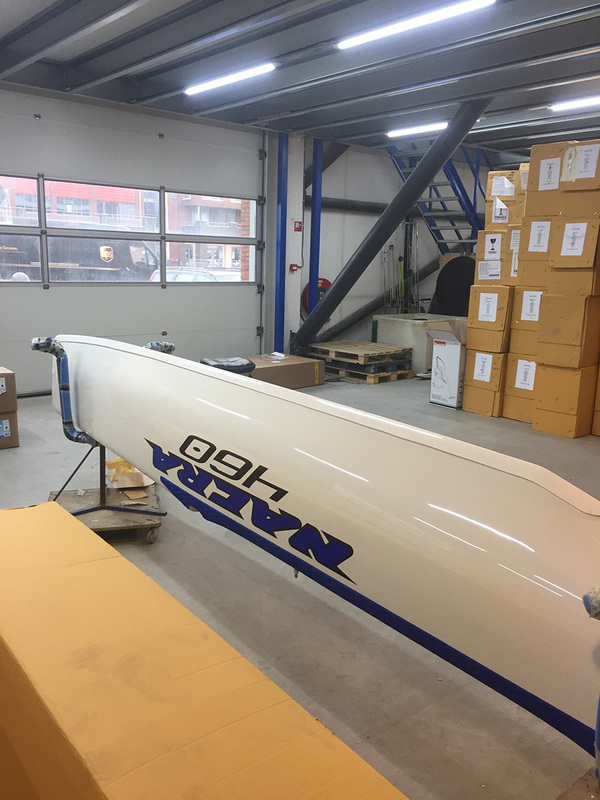 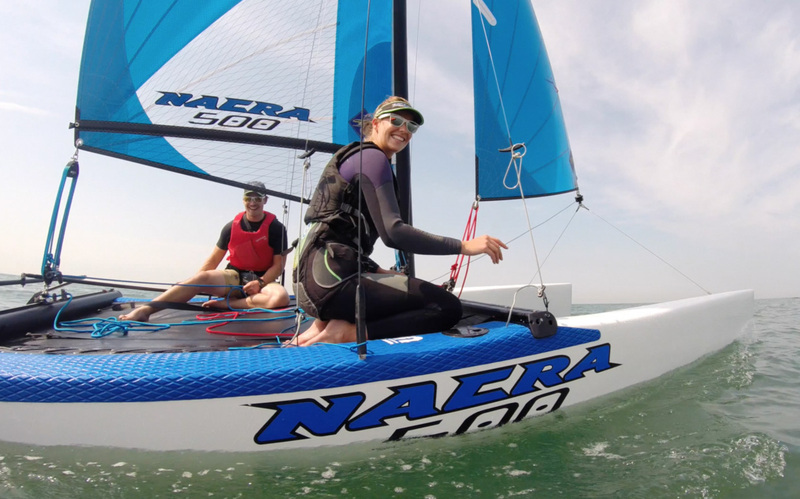 The trampoline, like all other Nacra’s is made of mesh polypropylene allowing the water to quickly drain through keeping sailors as dry as possible. 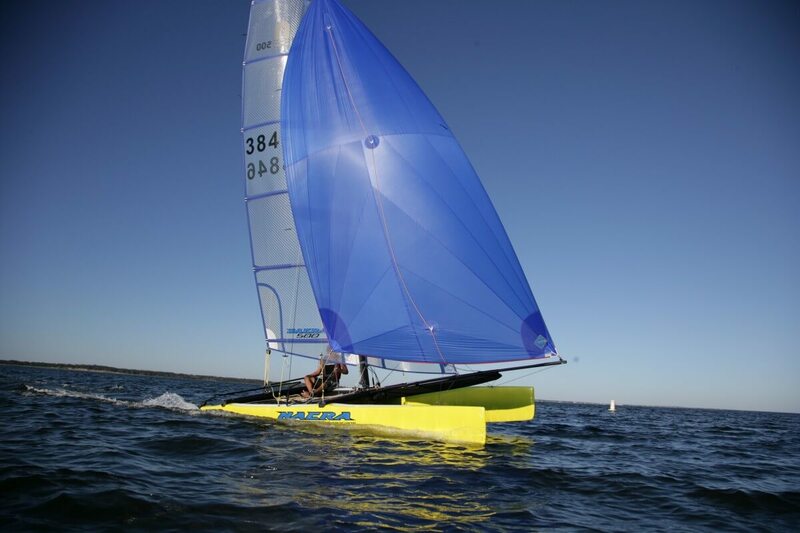 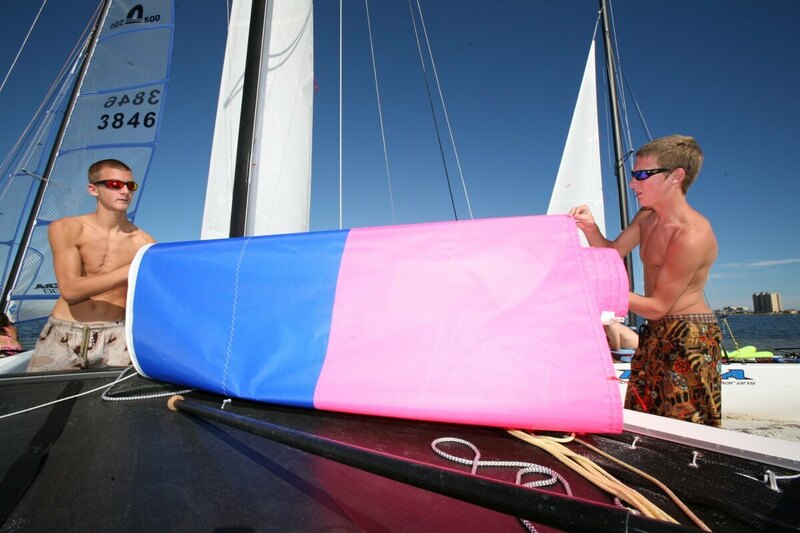 The Performance Sails main is made modern MNX material giving a good looking smart appearance and the jib is Dacron, giving long life strength and performance. 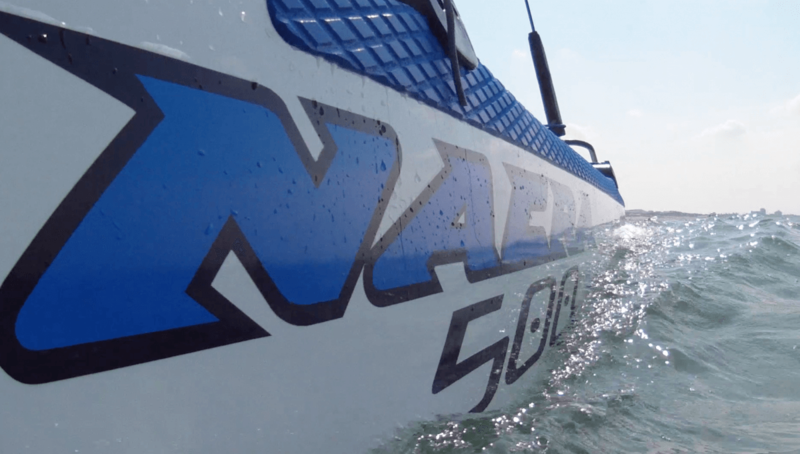 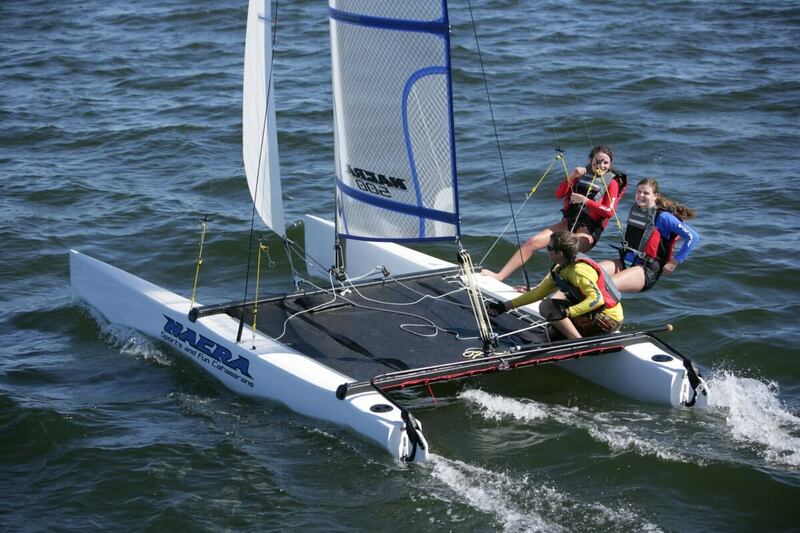 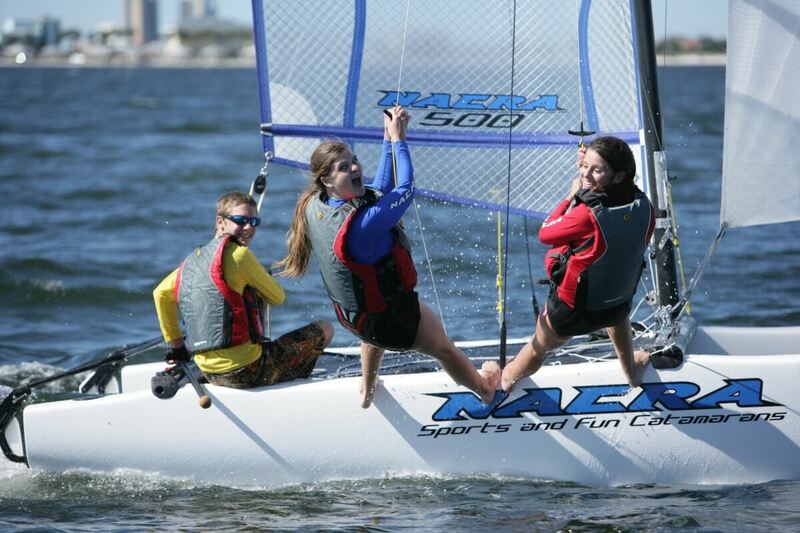 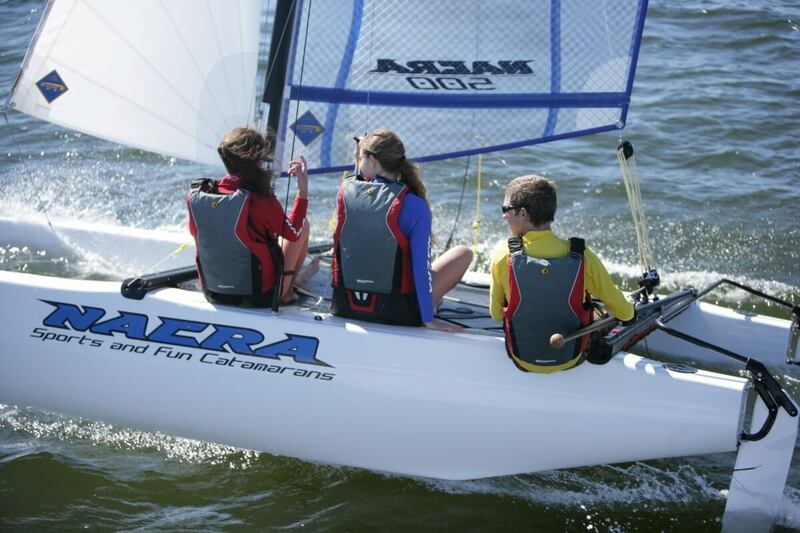 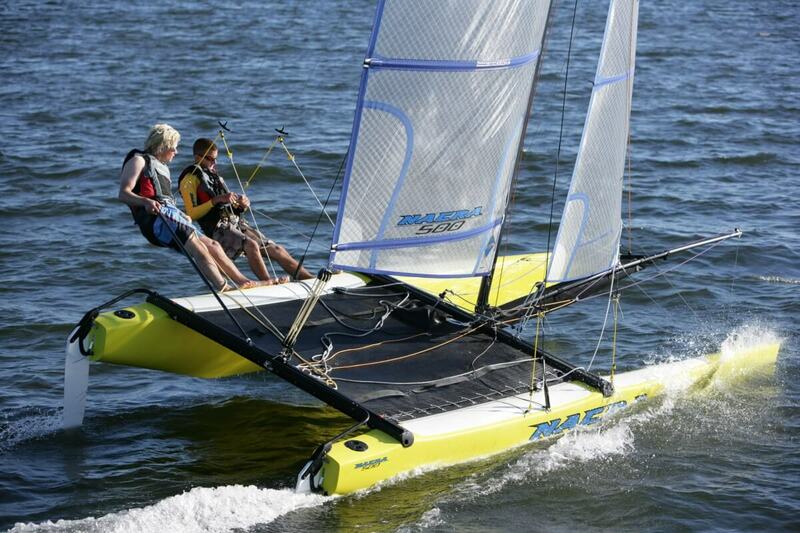 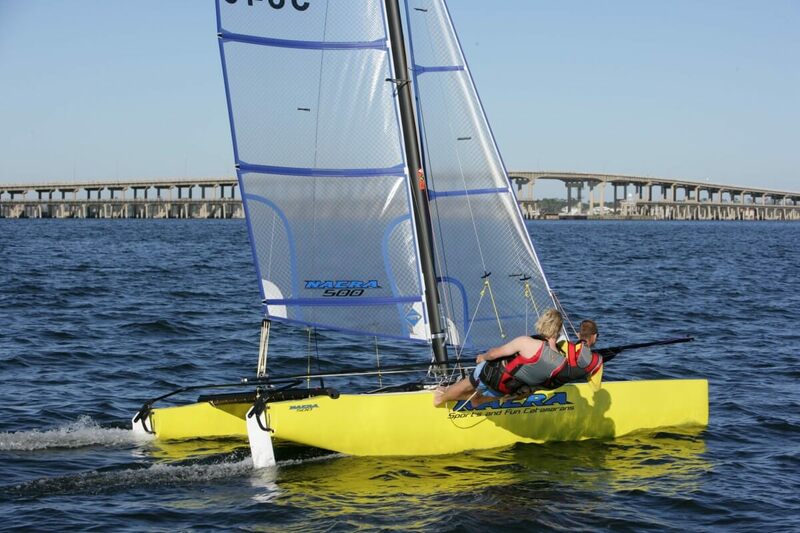 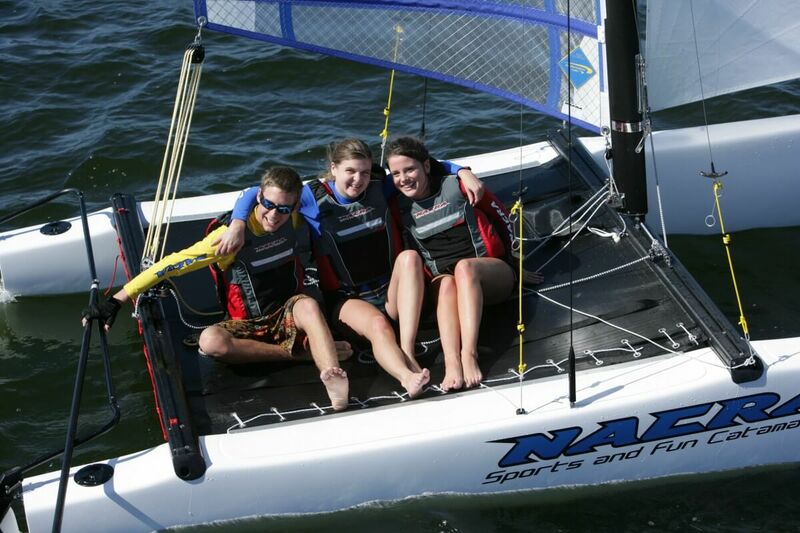 The 500 provides high performance recreational sailing at an affordable price.